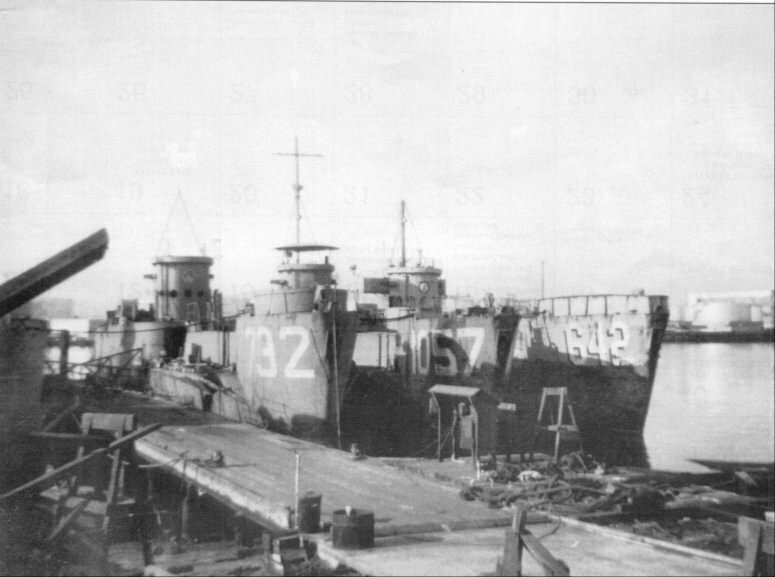 Laid down, 17 March 1944, at Defoe Shipbuilding Co. Bay City, MI. 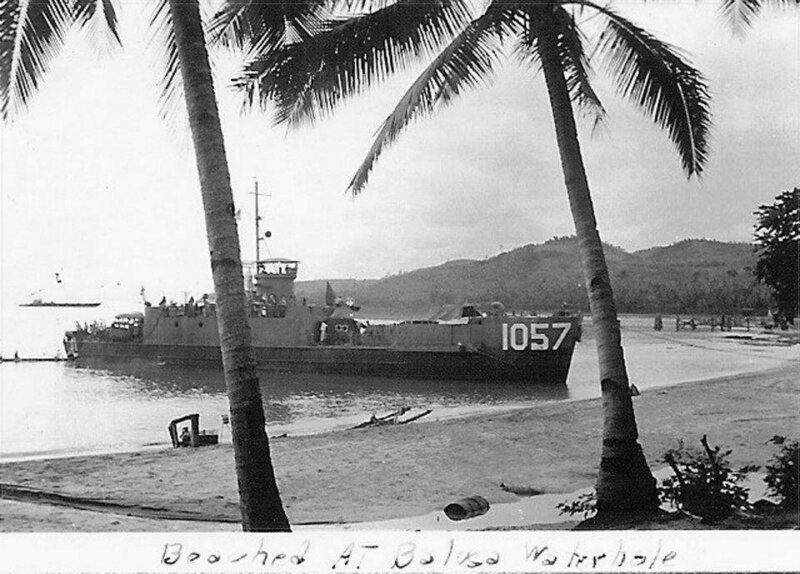 127k USS LCI(M)-1057 beached at Belusa waterhole, date unknown. 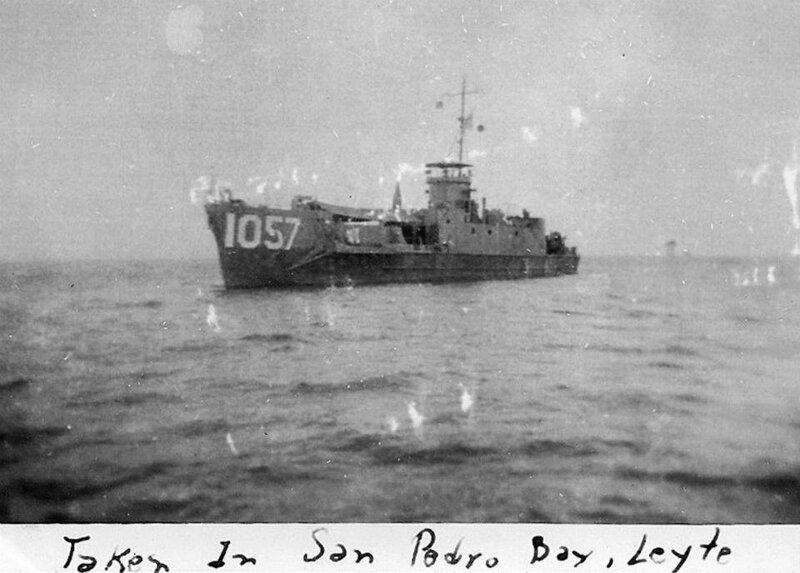 84k USS LCI(M)-1057 in San Pedro Bay, Leyte, P.I., 1944. 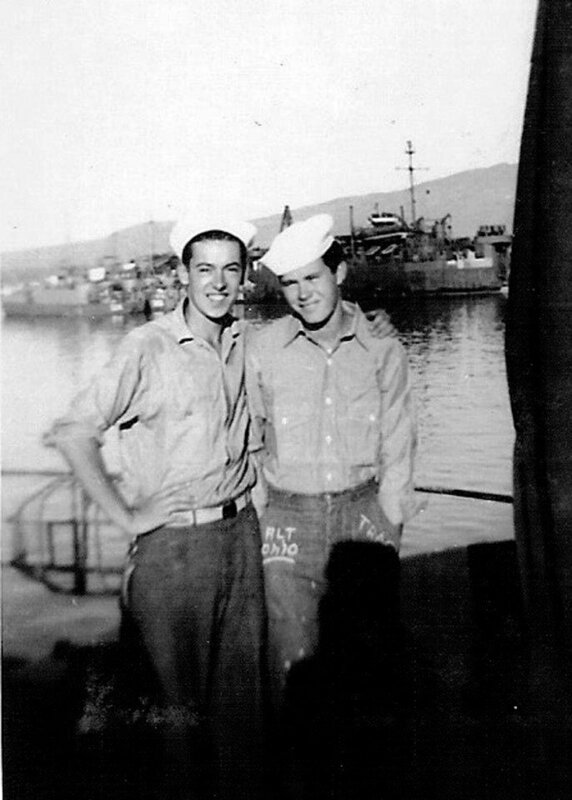 98k USS LCI(M)-1057 crew members, Lionell Tucker with unknown crew member, date and location unknown. 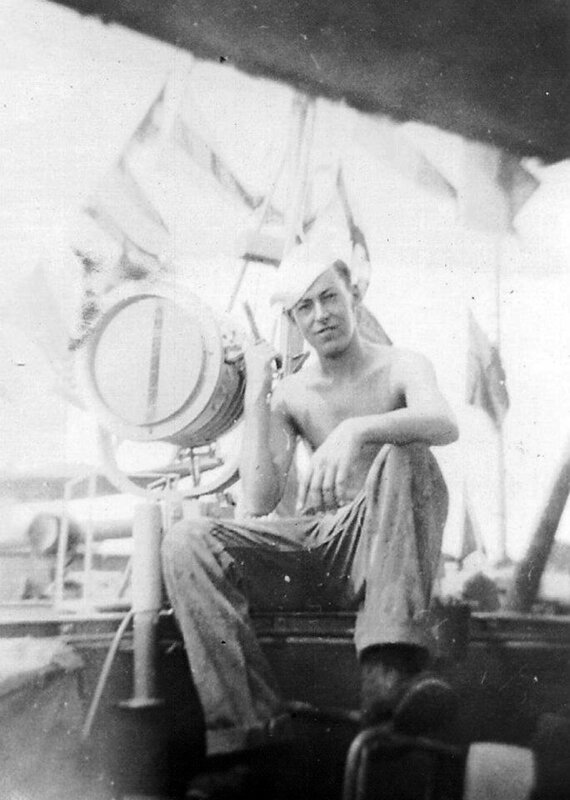 86k Signalman Lionell Tucker on the signal bridge of USS LCI(M)-1057, date and location unknown.